This sandwich recipe is made with Cuban bread, hummus and harissa. Serve with a soup and you have yourself a filling meal. Slit the bread in half. Spread hummus on one side of the bread and drizzle some harissa on it. 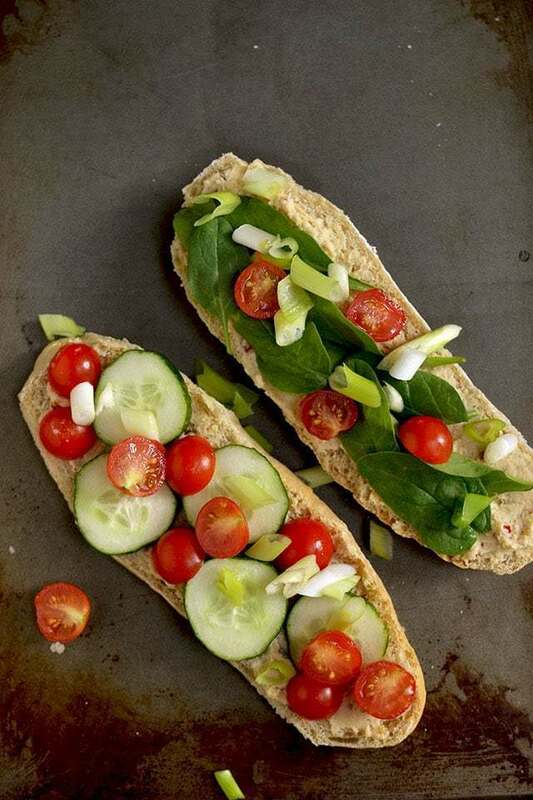 Top it with baby spinach, cucumber and tomatoes. Top it with the other half of the bread and press lightly. Cut in the middle diagonally. Serve immediately and Enjoy! !